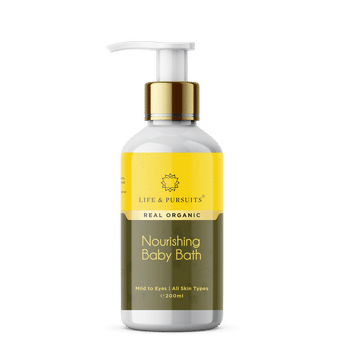 Life & Pursuits Nourishing Baby Bath is an organic formula that safely cleans skin without stripping it off natural moisture. This product is specially formulated using coconut-based mild cleansers, hydrating organic aloe vera and nourishing jojoba oil, which make it gentle for children of all ages. A unique blend of naturally-derived coconut based cleansers, hydrating organic aloe vera and nourishing jojoba oil, this shower gel pampers and nourishes the baby's skin without making it dry. This gentle formula is pH balanced and biodegradable and it safely cleanses the skin and keeps it well nourished and pampered. This moisturising baby wash leaves a soft, fresh and fruity natural aroma on the skin. This baby bath wash is certified Natural by NATRUE (Europe). It is safe for children of all ages. Note: Natural organic formulations tend to change color over time. However, the product efficacy remains unchanged. Avoid contact with eyes. About the Brand: Life & Pursuits offers internationally certified organic and natural wellness and personal care products. The products from Life & Pursuits are certified by USDA (USA) and NATRUE (Europe), the most stringent and reputed organic certification programs globally. The brand has integrated ancient wisdom of Indian Ayurveda with modern science to bring out real and premium grade organic products. Life & Pursuits is on a mission to create awareness in society about harmful chemicals and toxins in products. Explore the entire range of Bath Time available on Nykaa. 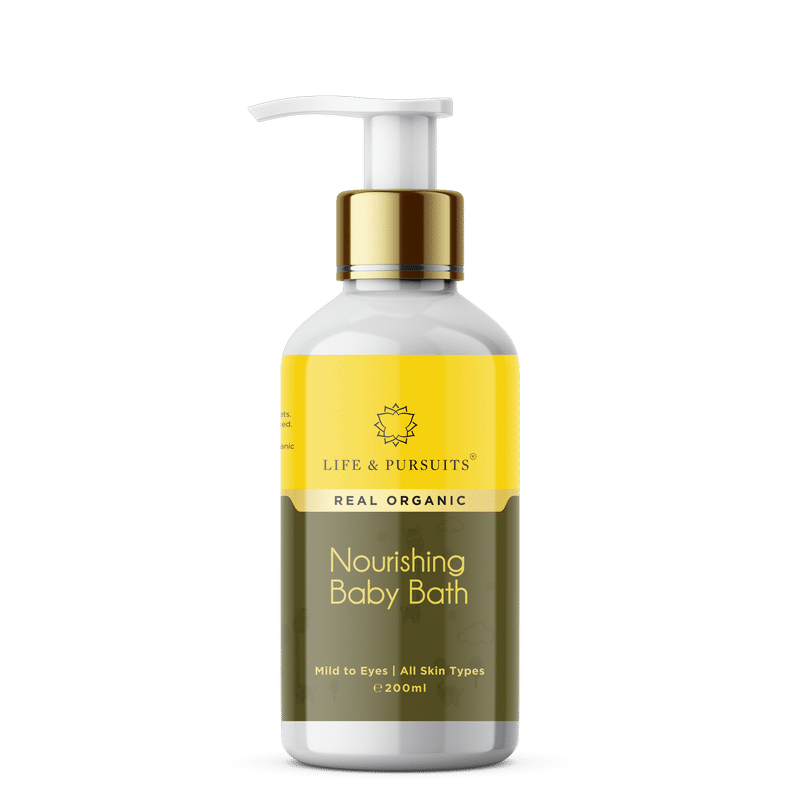 Shop more Life & Pursuits products here.You can browse through the complete world of Life & Pursuits Bath Time .